Oberoi Consulting are able to offer their services as expert speakers on a range of topics. Our years of experience in data quality, Quality of Outcomes Framework (QOF) coding and in depth knowledge of the GP clinical Systems, provides interesting and topical content that can be adapted to our client’s needs. Our sessions have supported our Pharmaceutical clients to increase access and contact with their clients – GPs, nurses and practice managers. 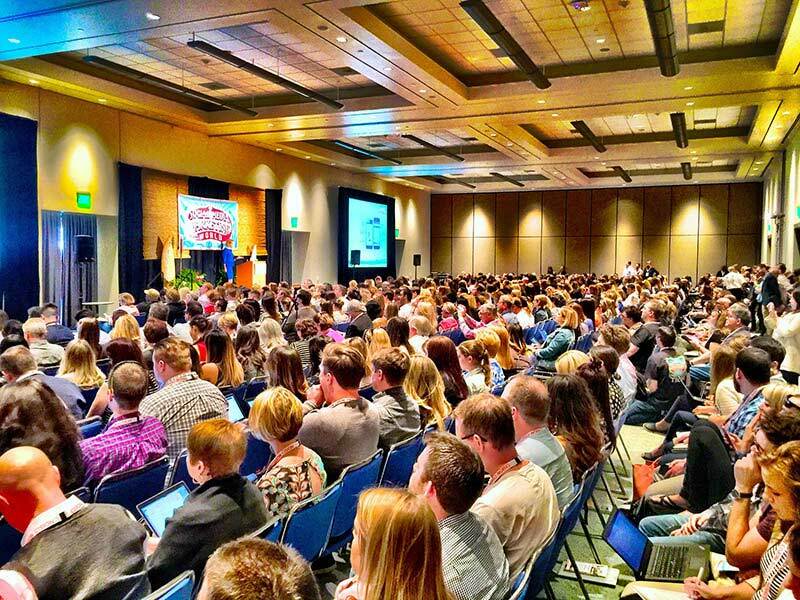 Our speaker sessions can be delivered alongside a clinical speakers or as a “stand-alone” session. Our speaker sessions have used published data to highlight patients not being treated for specific conditions or not meeting recommended targets and giving practical hints and tips on how to identify them through clinical systems. We worked with Bayer Healthcare to support a year long programme of Medicon UK meetings delivering our educational content on Atrial Fibrillation (AF) and Stroke Prevention to over 600 primary care clinicians. The purpose of the Oberoi Session was to complement the clinical speakers and deliver a data driven session translating the QOF and NICE guidelines into simple actions at primary care level. Communicated what the national QOF data tells us about AF and Stroke prevention. Raised the awareness of exception reported patients who could be treated. Shared the potential local cost implication, of preventable strokes, based on patients not anticoagulated. Provided a rationale to how the NICE guidelines translate into primary care actions. Highlighted the gaps between AF NICE guidance and the AF QOF Framework. Case finding and the impact on the value of an AF QOF point. Delivered strategies on increasing QOF income whilst delivering the best clinical outcomes for patients. Introduced primary care resources to support AF & Stroke Prevention. Each GP or Practice Nurse attending the meeting received a personalised report for their practice (Practice AF Stroke Estimator – PACE) which was prepared from published QOF and Hospital Episode Statistics (HES). The purpose of the report was to provide practices with insight and a better understanding of AF prevalence and anticoagulation for patients who are at high risk of stroke (CHADS2 greater than 1). In addition how anticoagulation impacts on ischaemic stroke events and associated costs. This report allowed them to review the effectiveness of their current AF pathway and make changes to improve performance and outcomes for their patients. The meetings comprised of a mixture of plenary and interactive sessions, providing delegates with the opportunity to share real life experiences with their peers, as well as the chance to identify strategies to address challenges practice. During the meeting, the delegates were encouraged to start creating their action plan to support changes in their clinical practice and their own personal development. The sessions included case studies highlighting patients who may be mis-coded or at high risk of Stroke. Each case study was supported by instructions on how to identify the patients on return to the practice. To download the "Optimising AF Clinical Outcomes Whilst Maximising Practice Income" case study, please click here. 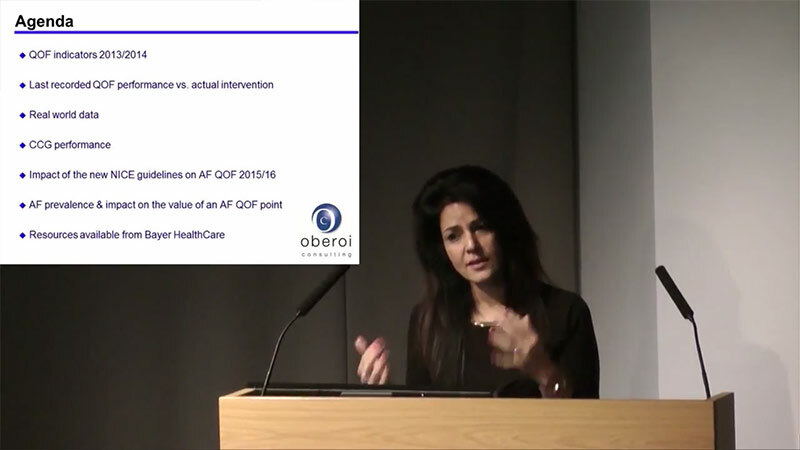 In this clip from the GM Conference 2014, Kavita Oberoi OBE introduces her talk on "Implementing AF NICE Guidance [CG180] Locally"
To read the conference report from the GM Conference, as a PDF, please follow this link. "Brilliant speakers gripping the whole session"
“Absolutely excellent meeting - I will go back to my practice this week and use this information"
“Eye opener; lots of information to take home and work on. “As a GP, and QOF Lead, this session has been absolutely invaluable. "I have much better understanding of the importance of prevalence, accurate coding and how to maximise our QOF achievement.